The Grunfeld is a fluid and dynamic Black opening,ideally suited to the needs of the attacking club player. Many World Champions have used the Grunfeld, including Botvinnik,Smyslove,Fischer, Kasparov and Anand. The Grunfeld for the Club Player Easily Explained Vol. 1 The Grunfeld is a fluid and dynamic Black opening,ideally suited to the needs of the attacking club player. Many World Champions have used the Grunfeld, including Botvinnik,Smyslove,Fischer, Kasparov and Anand. 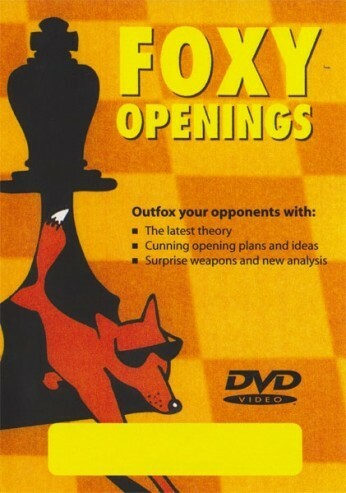 On this all-new Foxy openings DVD, IM Andrew Martin tailors a modern repertoire for Black which will suit most tastes. Most of the material is from the past 2/3 years. Volume One covers the very important Exchange Variation in all guises and the Fianchetto Systems by White.